Carmelo Anthony met with the Mavericks in Dallas at owner Mark Cuban’s house on Wednesday, shortly after his meeting with the Rockets. While his meeting in Houston lasted about 6 hours, his chat with Dallas only took about 2. 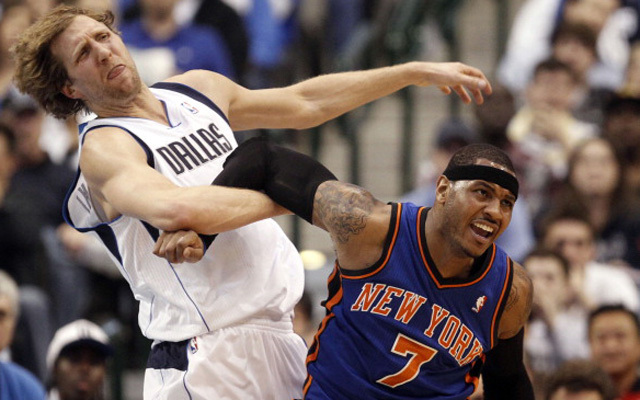 The Mavericks are reportedly trying to sell Melo on playing with a front line of Dirk Nowitzki and Anthony’s former teammate Tyson Chandler. This entry was posted in Articles and tagged Carmelo Anthony, carmelo anthony knicks, carmelo anthony mavericks, KNICKS, Knicks news, melo, melo mavericks on July 2, 2014 by Tommy Rothman.